TCR continues to welcome new Maiden calls during the month of June. 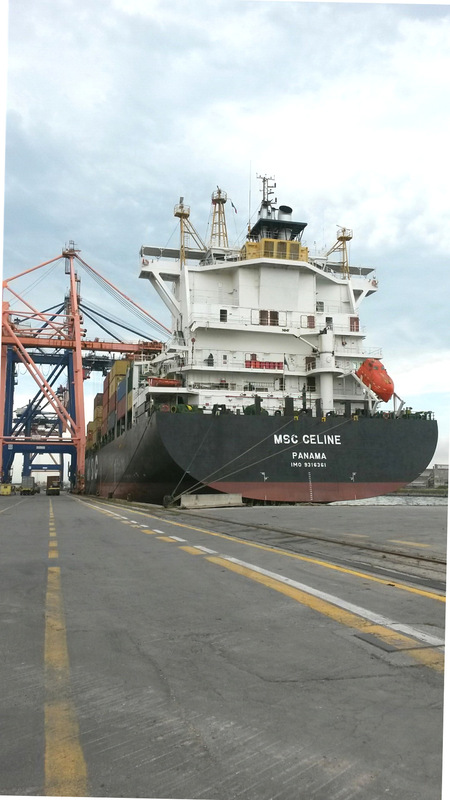 It was m/v MSC Celine’s turn to make its debut on the quays of Terminal Container Ravenna (TCR), the Adriatic gateway of Contship Italia Group. The ship, recently inserted by MSC in the MSC Adriatic B service that weekly connects Ravenna with Greece, Turkey and the Black Sea, was built in 2007 in the Polish shipyards in Stocznia Gdynia. 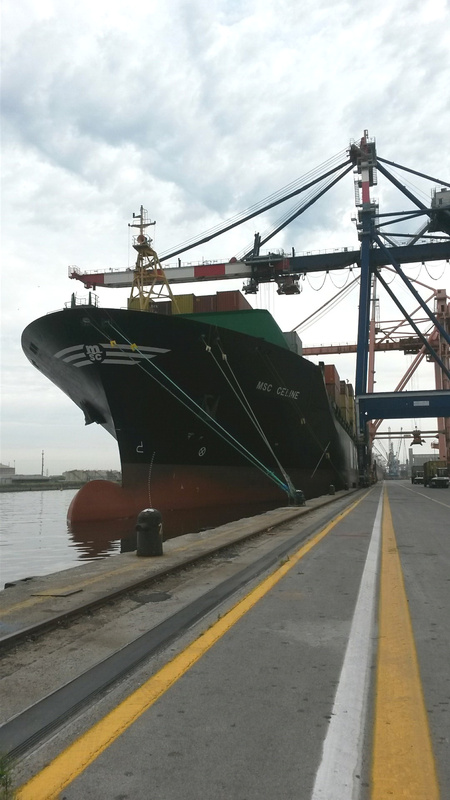 It is 211 linear meters long and has a nominal capacity of 2,764 TEUs. Having regularly finished the commercial operations at 8.30pm the same day, the ship unberthed and sailed away to continue its journey. 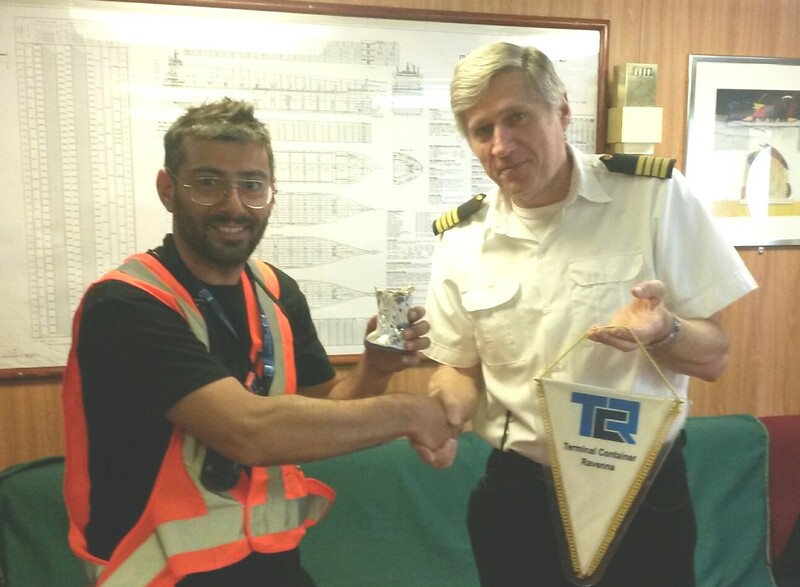 During the process of embarkation and disembarkation, as per tradition, Luca Carnevali, Planner of TCR, gave a gift to the captain of the ship, Capt. Andryi Glebov, as a momentum of the first visit of the ship in Ravenna.